The input Voltage and current signals are scaled down through interposing potential and current transformer. 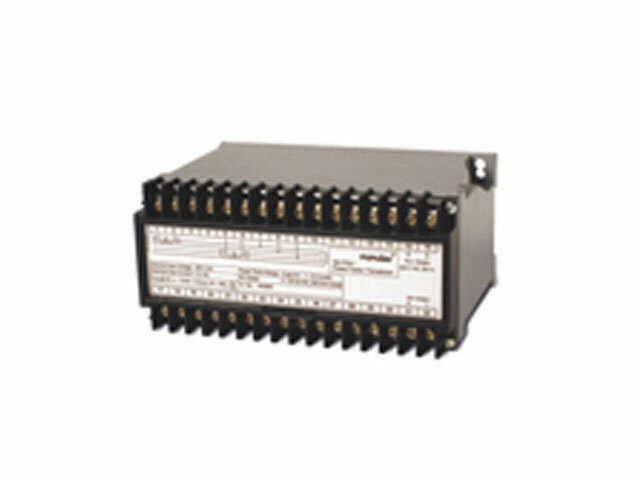 In case of reactive transducers the voltage signals are 900 phase shifted. 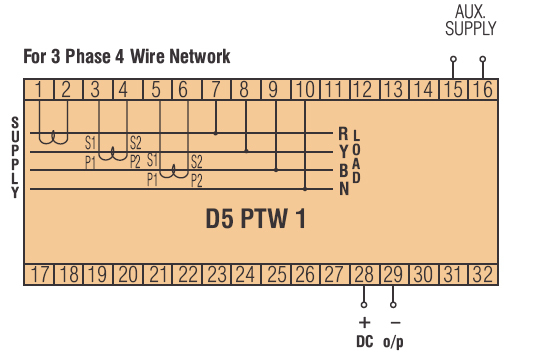 The scaled down signals are fed to precision multipliers working on time division multiplication principle. The multiplier output is processed to provide DC Voltage / Current output signal proportional to input active / reactive power. 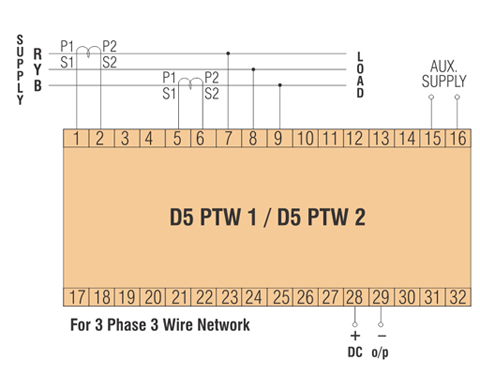 For Signal Phase network, only Active Power Transducer is offered. Fro 3 Phase 3 Wire or 3 Phase 4 Wire electrical networks both Active and Reactive Power Transducers are offered for balanced as well as unbalanced load conditions.